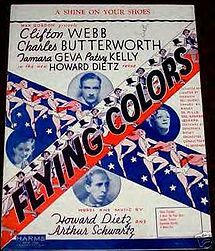 “A Shine On Your Shoes” was written for the 1932 Broadway musical Flying Colors. The same song was used for the 1953 movie The Band Wagon, which starred Fred Astaire and Cyd Charisse. “Shine On Your Shoes” was recorded in July 1993 and was released that year on Steppin’ Out. It was arranged by Tony Bennett and Ralph Sharon.